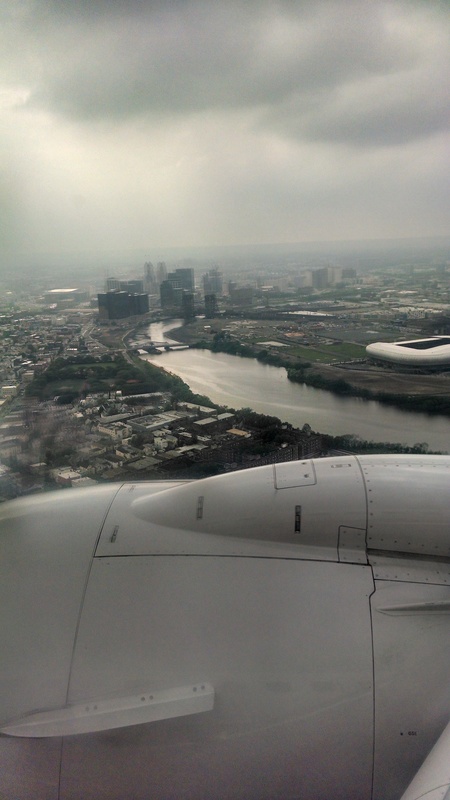 I became a flight attendant two years ago (in part) so I could give more time to my writing life. I wanted a decent paying career that would also give me the flexibility I needed to balance time with family and develop my love for writing. So with a friend’s nudge to give flying a try, I went for it. 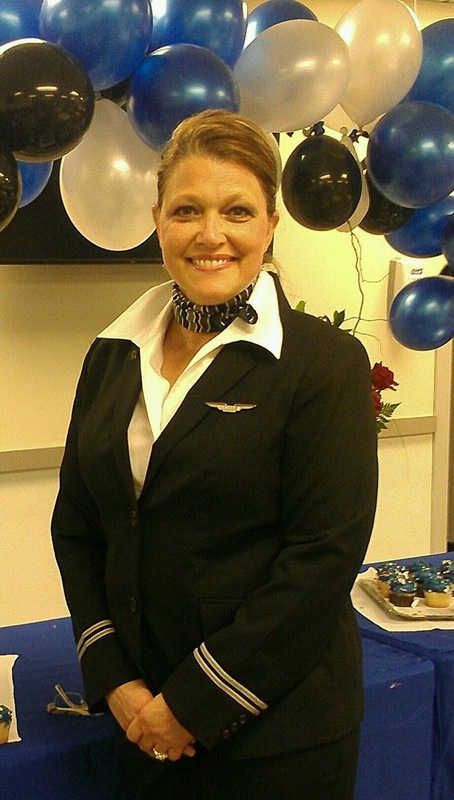 And on November 30th, 2012 I became a flight a Flight Attendant. Crazy. I know. I can now say, I’m a writer who writes on the fly (literally). Before and after this new mid-life career change, I imagined myself writing during layovers (hotel/rest time), while dead-heading (flights we do not work but are moved by the company to work a flight in another city), and during lengthy sit time (time we spend waiting between same day flights we work). 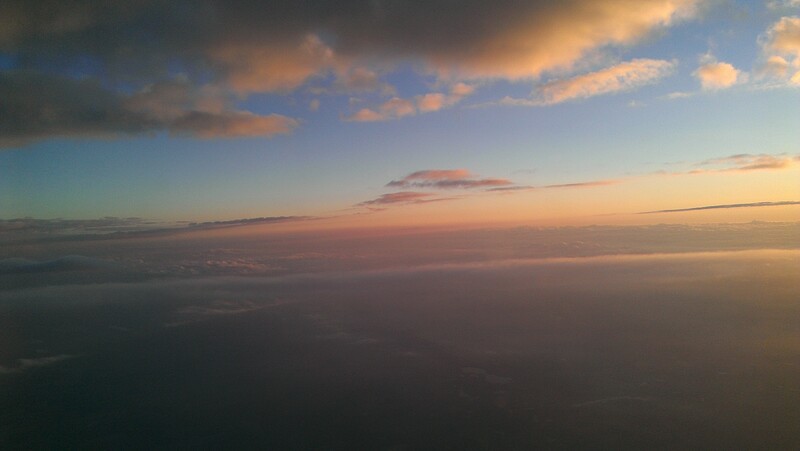 The truth is, however, that my writing life has actually suffered since I took to the friendly skies. The evidence of this is seen in the few number of posts I have made on my blog this past year and the lack of progress I have made on various writing projects. Adjusting to this new work-lifestyle and spending a fair amount of time away from home has been an adjustment for me and my my husband, but the steady wave of other family events and circumstances, have only frustrated my writing plans even more. About six months into my flying career, our finished basement apartment became home to my son and daughter-in-law, then a few months later, our daughter and her family of four (now five) moved in with us. In both cases, our home became a sanctuary for our kids as they got settled back in the Cleveland area and made their own transitions into new jobs/careers of their own. But, along with these household changes, came more than one family crisis, two more weddings, four new grand-babes, and health setbacks for my aging parents. Then this past May, as the family-life dust began to settle, another crisis hit. Just as my empty-nest husband and I were preparing to downsize and put our house on the market to sell, we incurred major flood damage that completely destroyed our finished basement, setting us back financially and draining us physically and emotionally. Since that dreadful event, my days at home are not spent doing what I love, but doing what is necessary to get our home restored. Sometimes, our best laid plans don’t go quite as planned. It is always wise to first, foremost, and always take a deep breath and Look Up! Looking up is the only way I know how to get through challenging times. 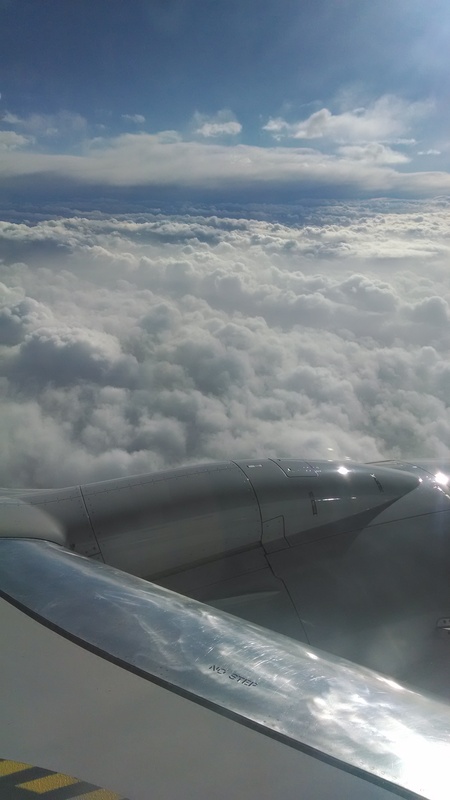 Certainly, it was no coincidence to be on an airplane – when I felt an overwhelming desire to pursue a writing career and become a published author. 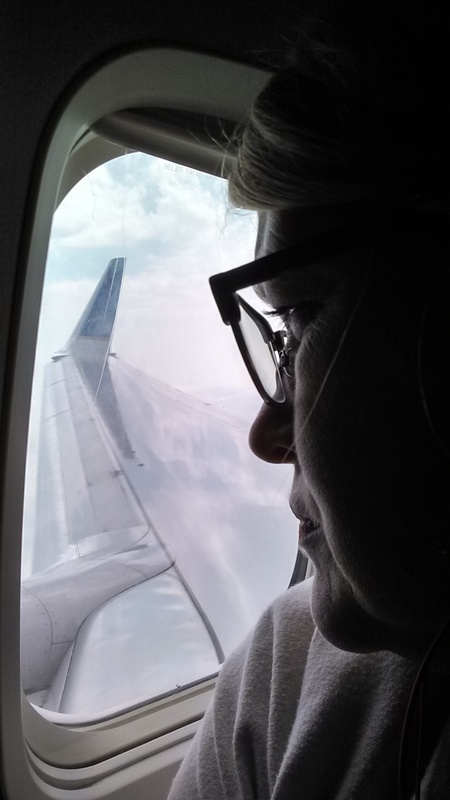 I was on a flight heading home from Colorado Springs while on staff with the non-profit organization Young Life, where I spent five years serving as the National Director of YoungLives, YL’s teen mom initiate. I was given the task of overseeing the vision and growth of this program which was in its infant stages of growth. It was a journey that allowed me to exercise my leadership muscles that entailed: developing new branding strategies; creating new resources and training materials; and growing the US camping program for teenage mothers. It was an incredible part of my journey that will always be a large part of my personal story and growth as a leader, writer, and follower of Jesus; a season that God used to mature me, humble me, and help me become more of who He created me to be. One of the biggest things I learned about myself, is how much I love to write. Time seems to stand still when I write. During those years that I led the YoungLives initiative, I would sometimes spend 8-16 hours a day writing, and at the end of the day wonder where the time went. Frequently, I would find myself getting lost in the thought process of developing words; words that would be effective, encouraging and helpful to those I was called to serve. I would write hundreds of emails as I engaged with US field and Service Center staff, Regional and Area Directors, leaders, volunteers, donors, Christian leaders, Civic leaders, Government officials, and others. I wrote Board Reports and developed PowerPoint presentations for the President and his team of Senior VP’s and other Senior Managing Directors like myself. 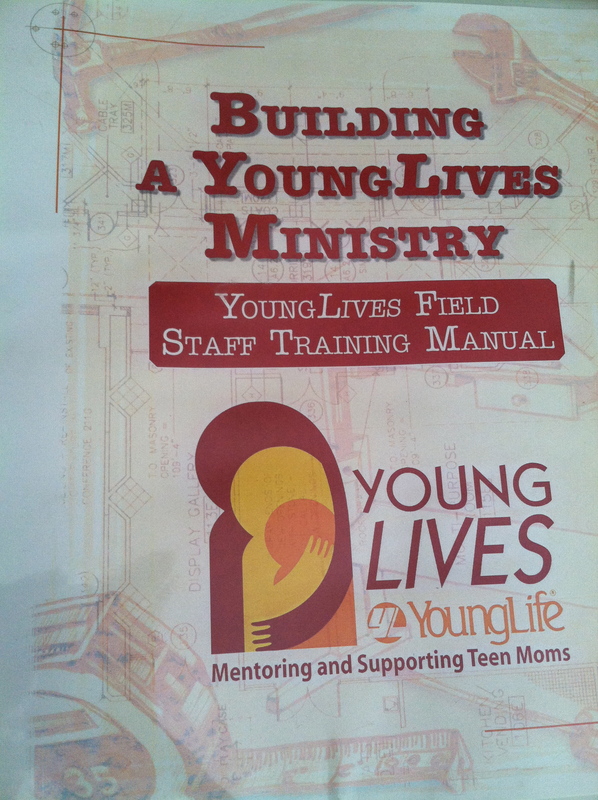 But the project that gave me the most writing pleasure was the YoungLives Field Staff Training Manual. When that new 150 page binder arrived on my door step, I was brought to tears. Tears of absolute joy. It was a thrill to provide this greatly needed training resource. A major accomplishment indeed for me and my team. I understood the vision of what was needed and why it was needed, and I needed to make sure it was inspiring, practical and helpful. I loved the entire creative process of developing the “building” theme and the step by step “blueprints” that were designed to help new directors navigate their way through the various phases of growing a YoungLives team and ministry in their local area. It is still very humbling for me, to realizing that God allowed me to play a role of something this grand in nature and scope; something that would end up becoming much bigger than I, or anyone else ever imagined at the time. And it thrills me to no end to know that YoungLives today, is reaching literally, thousands upon thousands of teen moms throughout the US and internationally. (You can learn more about YoungLives here). I’ve learned a great deal about myself through this writing project. – I am most motivated to write things that inspire and help both people and organizations, become more than they are. 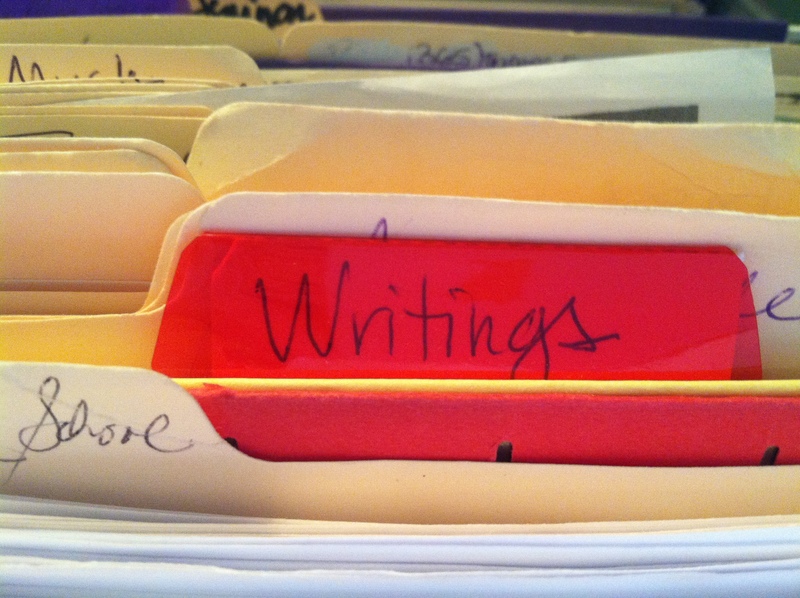 – I enjoy “foundation laying aspects” of writing; the actual pain-staking thought process of organizing information . – As a visionary (INSP) I enjoy moving a vision from concept to reality, which includes communication of the vision and engaging others in the process. – I enjoy writing projects that are strategic in nature; ones that make a difference in the lives of others. – I enjoy sharing what I’ve learned with others; and I tend to use a writing style that has a “teaching” quality to it. And I also know that God’s plan for my life is being played out through each season of change and difficulty. What I don’t know, is where all this change is leading. I just know that I need to keep looking up! On a flight home from Colorado Springs (about 10 years ago), the unexpected happened. It was like something you read or hear about; something that happens to other people. Not me. But the truth is, the unexpected did happen; and it changed me deep within. I had just given my annual presentation to the Senior Leadership Team regarding the progress, goals and strategies taking place within YoungLives. There was an excitement in the air. Interest was growing; new ministries were getting started; women and men throughout the US were responding to the call to serve the unloved, the marred, the broken. Generations will be changed because of them! The manual had become a word-offering of love with a message of hope. Teen moms throughout the US would have the opportunity to learn that a new life and future are possible because of Jesus. On the flight home I was doing a little reading; but paused for a moment to reflect. 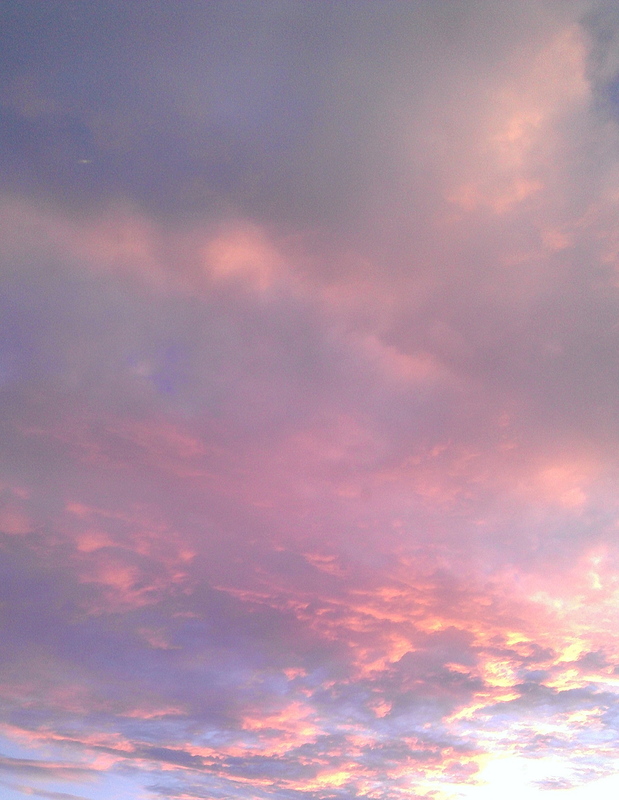 I looked out and I looked up. Caught up in a barrage of emotion, I thought about the bigness of God and the way he had invited me into his story. The fact that God does this for all who surrender their lives to his love and grace is both astounding and thrilling! The God that created these heavens I’m passing through and the heavens beyond, and the earth and everything in it beneath me, invites me – invites you – to join him in the work that he is doing within us and within the lives of others. (Dallas Willard speaks so eloquently of this in his book, The Divine Conspiracy; one of my all time favorite books). The manual. This writing thing. It makes me feels alive. Is this what it means to feel God’s pleasure? This sense of knowing that you are doing exactly what God has wired you to do? And becoming all he has meant you to be? 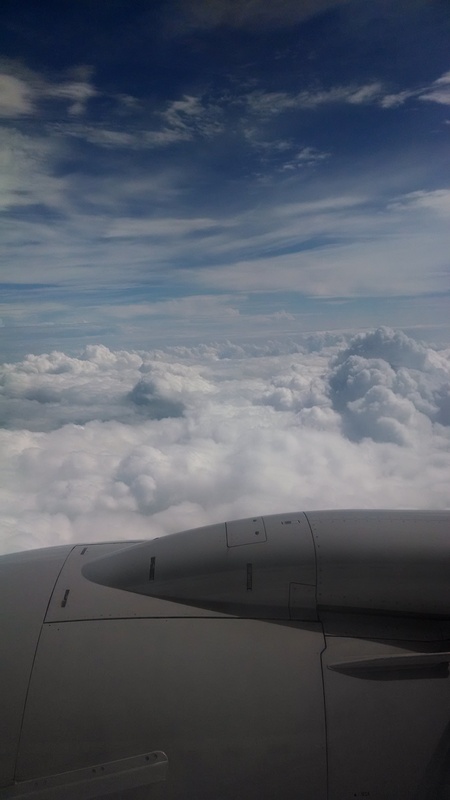 I tried to dismiss the foolishness of such an inclination, but as my three-hour plus flight at 37,000 feet lingered, so too, did the thought linger. I had already had accomplished a certain level of “authoring” but a published author? An actual writer of books? It seemed as far in the distance of possibilities; as far as the distance between Colorado Springs and my home back in Ohio. 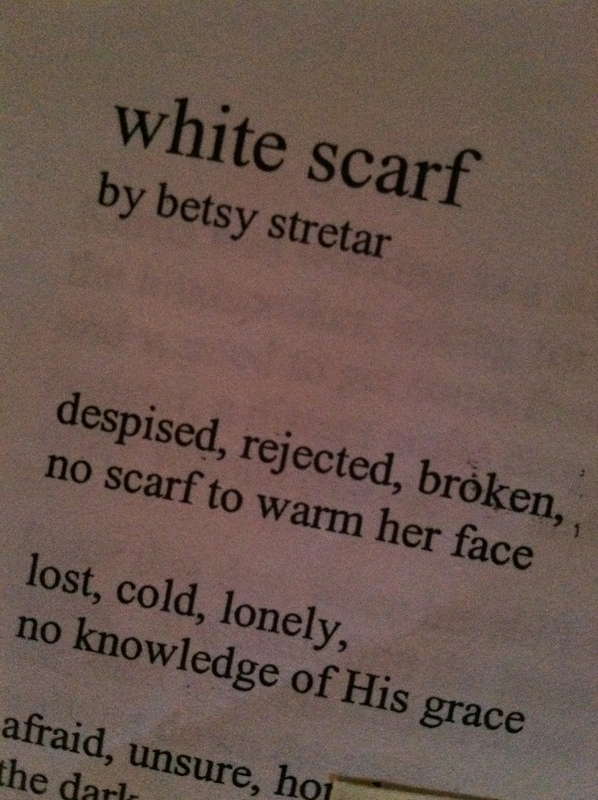 Sample #1: Betsy E. Stretar. Sample #2: Elizabeth E. Stretar. I thought to myself, maybe people will think my name is pronounced “Stre-tar” (short e) instead of “Stree-tar” (with a long e). I write more options. Perhaps I should add my maiden name? Sample #3: Elizabeth Duncan Stretar. But what if I am found by old acquaintances that I don’t necessarily want to be found out by? Old fears arise and I cross that one out. I think of other possibilities. I like this one. It made me think of my life that often feels like a collection of “streets” that I’ve traveled. Some lovely and cheerful; some scary and depressing. I whisper it aloud (hoping no one hears me). Yes. I like it. It has a catchy ring to it. There’s only one problem. It’s not my real name. Would it be confusing to have a pen name different from that of my real name? Suddenly, I feel indecisive and insecure about this imagining and re-naming myself. Once again, my face turns toward the heavens, and I pray. Father, is this becoming an author thing, part of your plan for me, or just some crazy idea I dreamed up here in the clouds of my mind? I settle back in my seat, and I ponder. Perhaps the kind of pondering that Mary in the New Testament did when the angel of God appeared to her and told her that the child within her was placed in her womb by God himself. After hearing such preposterous words, Mary does not shrink back in fear, but instead chooses a posture of waiting. Of trusting. A life journey of inward pondering. It would be years until the promise was fully understood. But she trusts the God of the Promise to bring to pass all that the angel had spoken of. Mary’s was a posture of looking up. This “author” person felt very much alive within me. And it was growing indeed. As I pause to consider the many ways I had seen God at work in my life, tears well within (and without). With blurred-eyes cleared, I regain a sense of composure and reach for something to read in the seat-back pocket in front of me to divert my attention from such dreamy-eyed thoughts. The logical side of me seems impossible – but my heart of faith knows otherwise. With God, all things are possible, indeed! The very same moment my mind was juggling back and forth, I turned the page of the magazine I was reading…and right then and there…my dreamy blue eyes almost fall from their sockets! As plain as day (in a divine intervention sort of way), my dreamy thoughts were exposed. There, on page 36, an article about becoming an author written by an actual known author. Her name? I was not dreaming or imagining the impossible, but the possible. My Father sees me. He knows me! He is speaking to me! He is affirming me! God made me a writer. Just as the Lord has been so faithful to lead my past, I am certain He is leading my future. I whisper a short prayer heavenward once again. If I am to be a writer Father, it will be because it is part of your plan for me. Since that memorable event took place I have made it my aim to develop this desire within to write words that bless, encourage and help others. Looking around requires honest humility on our part. It means we need to take notice of others who can help us become better, no matter what skill we need to perfect. For me, I look to writers who understand their craft, their voice, and their audience. Those who write with skill for all the right reasons, and encourage me to do the same. When I look around to take inventory of those who have influenced my writing life, several people come to mind. One person is my former supervisor, the late Cliff Anderson. Cliff saw something in me that I was unable to see in myself. He hired me because he looked up! He was a man of prayer who possessed incredible discernment and wisdom. He affirmed my calling and gifts and created a culture of genuine love and support that allowed me to grow and flourish as a leader, student, and writer. He never micro managed me because he trusted me. His guidance came always, in helpful questions and supportive guidance and encouragement. Cliff was also one of my professors and encouraged me to pursue my Masters degree. He knew that I loved learning and knew that higher education would be good for me. Writing formal papers that were theological in nature helped me grow leaps and bounds in my personal spiritual life as well as my writing life. So wise he was. Little did I know how much I would enjoy the journey of obtaining my Masters Degree. And I owe so much to this dear man, who was not only my supervisor and professor but a precious mentor and friend. Another person that has inspired me to write is my mother. In my quest to grow as a writer, I continue to put myself in a students posture of learning and practice the art of writing. And I have looked around to find gifted writers that love helping other writers. I have purchased their books and attended their writers conferences. (Jerry Jenkins offers a wonderful annual Writing Conference). 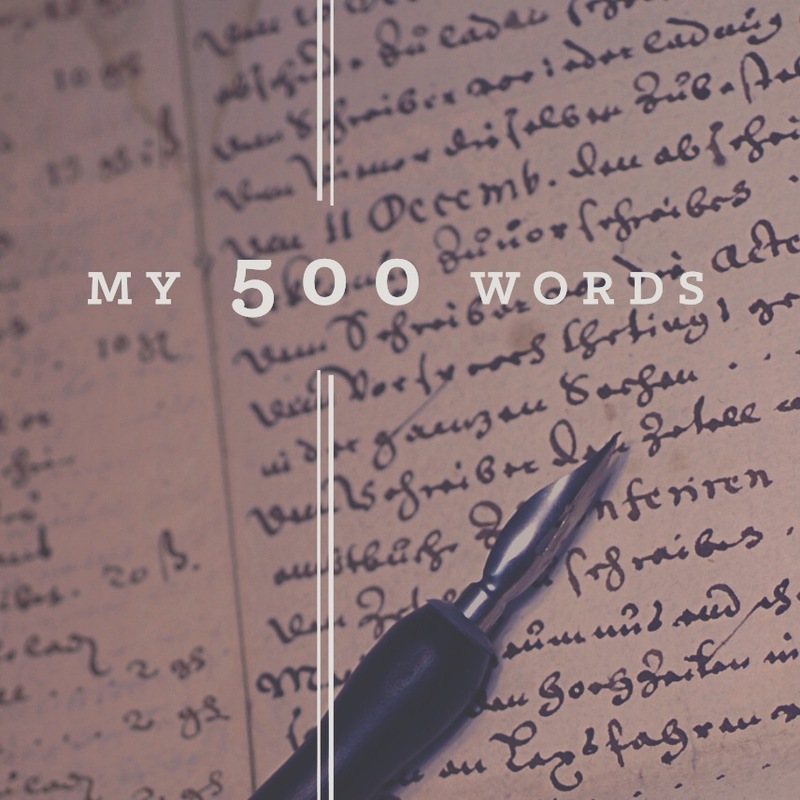 More recently, I’ve linked up with Jeff Goins and his 500 Words a Day Challenge! I stumbled upon Jeff’s blog about a year ago. Jeff is a writer with a following that has grown exponentially over the past few years because he was able to hone in on his true passion and voice. Jeff talks openly and honestly about his many twists and turns in his career and now writes to help others writers. He is a breath of fresh air to the weary and discouraged writer. He speaks from his heart and experience and writes in a way that those of us who follow him, find engaging and highly practical. He loves sharing what he has learned and it shows! As part of Jeff Goins’ 500 Word Challenge, I am slowly gaining the courage and discipline I need to help me re-focus my writing career goals. So thank you @JeffGoins! Then out of no-where, this past year, on a day I was very discouraged about my writing progress, I received a random LinkedIn notice from a lady named “Deb.” I had never met her. I later discovered that Deb is a gifted writer who has astounding editing and resume writing skills. Apparently (as I found out later from the friendship that formed between us), she had looked over my online resume and saw something – there in that cyberspace version of myself. She wrote two sentences that left me speechless. What in the world?! Who is this? Why in the world is she writing this to me? And what in the world provoked her to write such words? 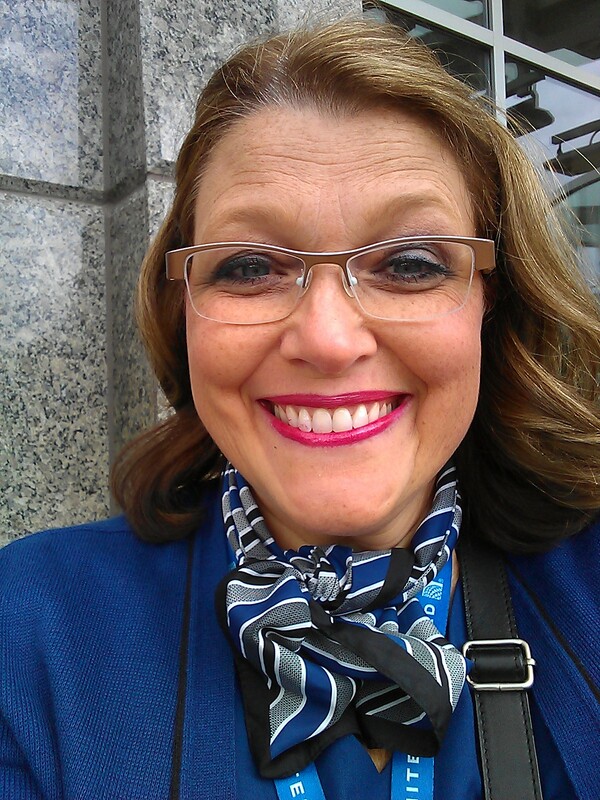 Thankfully, I was able to let Deb know how timely her words were that day, how God used her to encourage me, and how appreciative and amazed I was that she took the time to write me at that specific moment in time. I’m astounded that God has blessed me the way he has! I don’t serve the life I have. It’s all grace. Every ounce of it. I’m astounded by the many ways I just happen to meet the right person at just the right time. I’m astounded at the ways so many people have influenced who I am becoming, as a writer. I want to continue to live astounded – because the goodness of God is completely and utterly astounding! I’m astounded to realize that I’ve been writing for a long time; that I’ve been a writer all along. 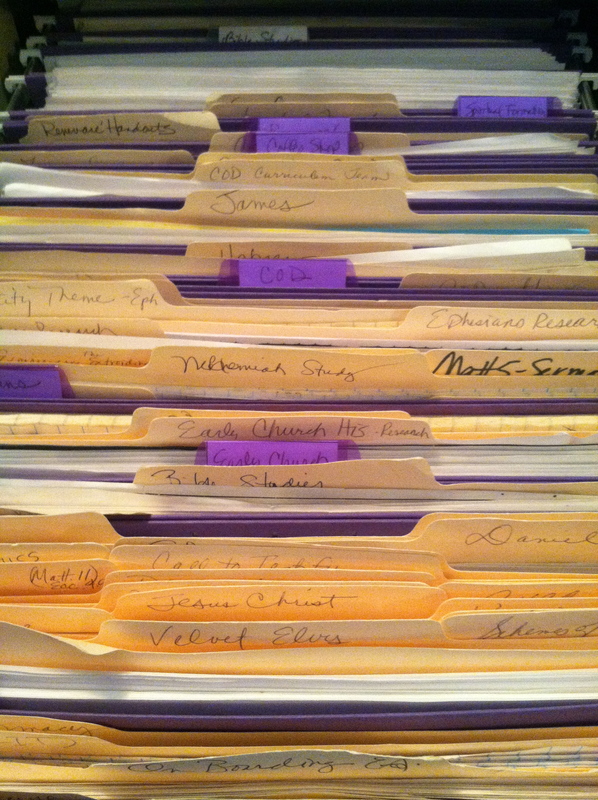 Through the years, I have written and taught several Bible Studies. Among them, How to Hear God through the Noise of Life (because I really do understand just how noisy life can sometimes be). 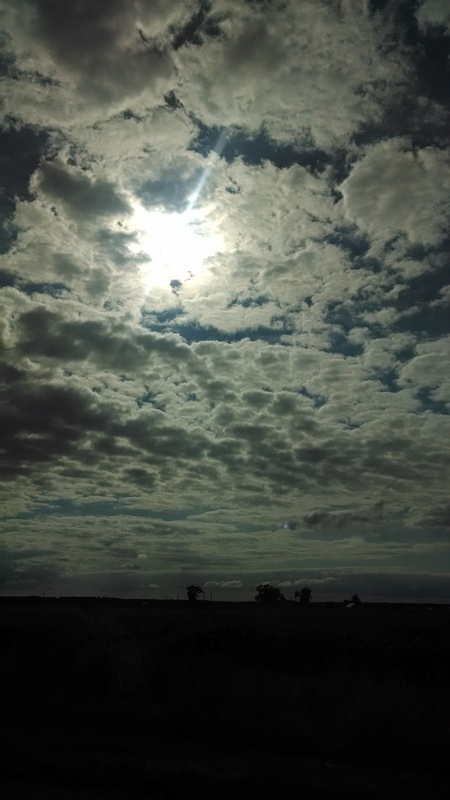 My poem, “Sky Painter” was inspired upon news of the sudden death of a dear family friend. And this one, “White Scarf”: depicts the kindness and grace of God as seen in the face of mentors/role models who show us what God’s love, looks like. It was inspired by this thrifted children’s silk scarf that I purchased for my oldest son when he was a year old, and before I ever knew my last name would start with an “S”. 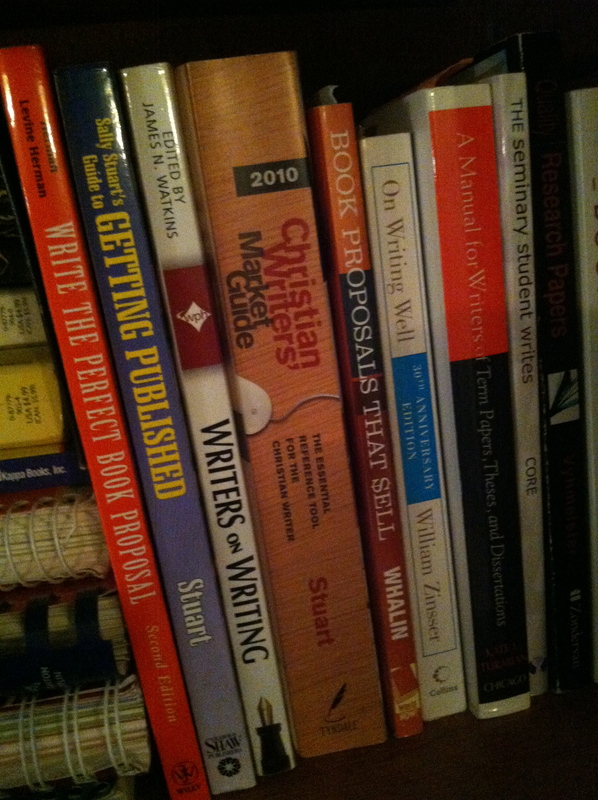 I have written several other projects in my lifetime; some I have completed, some I haven’t. One, a project that I started in 2008, that has been on my writing shelf since, deals with the way we often feel lost when navigating through major life-transitions entitled, Lost in Transition, Found in the Journey. In the children’s department, a play that I wrote in the early 90’s entitled, Life in the Son was casted and performed by the kids from the church we attended. This photo captures those rough, formative years of my writing; at a time when writers still used something called a “typewriter”. And while I don’t anticipate any known or unknown producer to knock on my door in an effort to secure the rights of my first playwright, I do have high hopes for two children’s books that I was able to complete this year; “Acorn Gert & Her Brother Burt” and “Butterflies in Winter.” Both are ready to peak the attention of an eager literary agent, willing to take on another unpublished soul like me. The shift I made this past year to write for children has helped me understand further, the unspoken desire I have to help both children (and adults alike) understand their incredible worth, amazing potential, and divine purpose in life. And although I’m left wondering still about the details of my own personal mission as a writer, my writing voice, my audience, I continue to strain forward, that I might give credence to this call within to become a more faithful writer and follower of Jesus. How will my words encourage those I write for and to? How will my words bring others hope, healing and help? Will I be found faithful to discipline myself for purposes that reach far beyond personal ambition, financial gain or fame? This is my hope. My prayer. And so it is with renewed hope and excitement that I lift my hands in thankful praise to pursue this call to write. Don’t look back with thoughts of failure and regret, but to draw from your past experiences and how they have helped you grow and mature. Don’t look up as one without hope! God will accomplish his purposes in your life if you let him lead you. Don’t look around and compare yourself to others. You are one of a kind. You have a unique set of gifts and talents. Don’t be astounded by what others have to offer as if your talents and skills are less important. You were made in his image to do astounding things that bless the lives of others! There are those who need what you have to give, whatever that may be! Keep moving forward with me friend? Please free to share your story here or email me (betsy@leaderwithin.org) to share about your journey within. I’m curious to know what has not gone as planned in your life, and how God is using your circumstances to move you closer to his heart and plan for your life. Is it possible that God is using your circumstances to affirm your true calling and purpose? Until next time, Happy Autumn. And may your life bring forth an abundant harvest that blesses others. Loved reading your article. Can’t wait to read the kids books to Landon! Love you! I can’t wait to give you a signed copy for that sweet boy my dear friend. And so you know… my flying journey would be a bit on the pathetic side without you! Funny that I had signed up some time ago for your newsletter and somehow today I got a notice that I never confirmed that request. SO…. I did so. In reading your stories ( main story of figuring out you were a writer) It pricked my heart to be reminded of a soft whisper from GOD about 2 years ago. My story is quite a long one so I won’t write it all out here. BUT i’ve had a love for writing since i was alittle girl. Something i’ve done off and on all my life. I lost my husband very unexpectedly , well it will be two years ago this friday. The holy spirit spoke 3 words to me the night before my husbands funeral. I’ve sat on those words since. I’m at a crossroads right now and praying about exactly where GOD would have me use my time and talents. THANKS for sharing your heart and for your encouragement .